This Ongoing War: A Blog: 15-Oct-11: From today's NY Times: "This deal is a disaster"
15-Oct-11: From today's NY Times: "This deal is a disaster"
found guilty in the killing will be released next week. 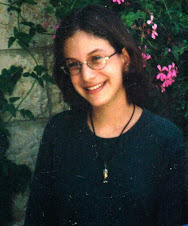 JERUSALEM — Arnold Roth had just returned from synagogue on Friday morning when the phone rang. 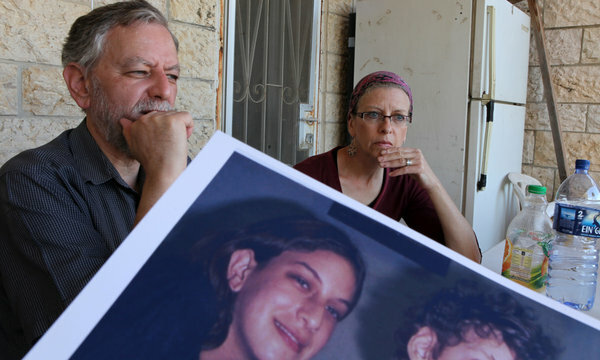 It was Israel’s Justice Ministry, telling him that two of the people who murdered his 15-year-old daughter Malka at a Jerusalem pizzeria a decade ago would be freed next week as part of an exchange of 1,000 Palestinian prisoners for an Israeli soldier held by Hamas. It was not an unexpected call but it was, for Mr. Roth, a horrifying one. Blocks away, Esther and Yehuda Wachsman were absorbing similar news — that a man who took part in murdering their son, Nachshon, in 1994 was to be freed for Sergeant Shalit. By cruel coincidence, it was the anniversary of the killing — Oct. 14. But Mrs. Wachsman had a different response. The contrasting responses from two couples who have known and comforted one another were part of the highly charged emotional and political atmosphere in Israel since the announcement on Tuesday about the exchange aimed at ending more than five years of captivity for Sergeant Shalit, 25. Early on Friday, a man who lost both his parents and three siblings in the pizzeria attack that killed Malka Roth defaced the Tel Aviv memorial to Yitzhak Rabin, the slain prime minister. The man, Shvuel Schijvesschuuder, 27, said he was protesting the freeing of his family’s killers. “People don’t understand the horror of what has been going through my mind,” he said in an interview at his home near Tel Aviv after being detained and freed by the police. His brother, Meir, 32, said all five remaining members of the family would leave the country forever after the deal was completed. As the details of the exchange become public, the near universal joy that greeted the original announcement is being tempered with concern. Israel Radio reported that Sergeant Shalit would be handed over to the Red Cross in Gaza on Tuesday, taken from there to Egypt and then flown to a military base in central Israel, where he will be reunited with his family. They will then be flown to their home in the country’s north. The full list of Palestinians to be released will be posted on an Israeli government Web site by Sunday, although the Justice Ministry’s calls and lists published by Hamas provided some idea of who is on it. About 477 prisoners will be released in the first round, with 550 to follow two months later. Several hundred of those to be released are serving life sentences, and most of them will go either to the Gaza Strip or go into exile to other countries. Among those is Ahlam Tamimi, a 31-year-old woman who was a key figure in the pizzeria attack. She is often described as the driver of the car that brought the suicide bomber to the Sbarro restaurant and killed 15 people. But the Roths say her role went far beyond that, to the actual planning of the attack. In interviews from prison, Ms. Tamimi, who was a journalist, has told of having brought the suicide bomber to Jerusalem and then going on Palestinian television’s afternoon broadcast to announce the news of the attack without acknowledging her involvement. The Roths said their anger over the prisoner exchange was focused on Ms. Tamimi, who is being sent to Jordan. She is young, fervent and charismatic, Mr. Roth said, and proud of what she did. In a documentary on Palestinian prisoners, she was asked whether she knew how many children had been killed in the attack. She did not. When told the number was eight, she smiled. 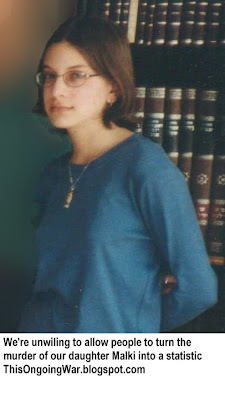 The Roths recalled that their daughter, known as Malki, was a dedicated volunteer for disabled children. In her memory they started and still run a foundation that helps families keep their disabled children at home by providing equipment and therapy. About 30 percent of the foundation’s beneficiaries are Israeli Arabs, Mr. Roth said. For the Wachsmans, the return of Sergeant Shalit is especially poignant. Like Sergeant Shalit, their son was a 19-year-old corporal in uniform when he was seized by Hamas militants. But in their case, the Israeli military tried to rescue him six days later and failed, leading to his death. One man being freed next week was the driver in the abduction plot, she said. His parents have been interviewed on television saying that it is about time that he was freed. Mrs. Wachsman did not share that sentiment. “I wish him nothing but ill for the rest of his life,” she said, her gaze steady. A version of this article appeared in print on October 15, 2011, on page A8 of the New York edition with the headline: In Israel, Swap Touches Old Wounds. I understand the feeling of this betrayal... I am shocked and disgusted that Israel is doing this. I do not have the feeling to stop defending Israel - but it is evident that we have a very serious problem within... this needs to be resolved - we must try to stop this release - but above that we must try to eliminate this internal threat to our future. Driod is correct. There is an internal sickness in this country that brought this atrocity about. Both the political Right and Left are guilty....an indifference to human life, a blind obedience to the ruling clique and the Establishment. The fault of the Left is knows...their guilt feelings over having supported Zionism in the past and their new identification with the Palestinian enemy, and the guilt of the Right in blindly supporting "militarist Zionism"...blind worship of the IDF and the Generals, ignoring the foolishness of Sharon's Lebanon war and the needless casualties in the name of "Patriotism". After Oslo when Peres, Rabin and the rest subverted the IDF and SHABAK in order to push their criminal Oslo agreements, the Right still blindly followed the IDF, again in the name of "patriotism". Finally leading the Right to capitulate using the SHABAK and IDF to justify this mass release of terrorist. IT IS TIME FOR NEW THINKING... A NEW BIRTH OF FREEDOM FOR THE JEWISH PEOPLE!